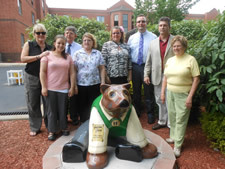 On June 1, 2013, residents and staff of Walnut Woods, Boyertown Mayor Marianne Deery, and PA State Representative David Maloney welcomed "Worthington," a Bear Fever sitting bear to their retirement community. 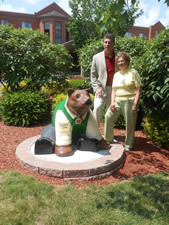 Walnut Woods in Boyertown, PA, a Holiday Retirement community offers inclusive, independent senior living with dining and housekeeping in a welcoming environment. Boyertown’s small-town charm and natural beauty enjoys all the big-city conveniences and is just minutes away from shopping, churches, restaurants, and healthcare.